It seems like in the blink of an eye our baby kittens grow from small balls of fluffy fury to glorious large and in charge masterpieces. 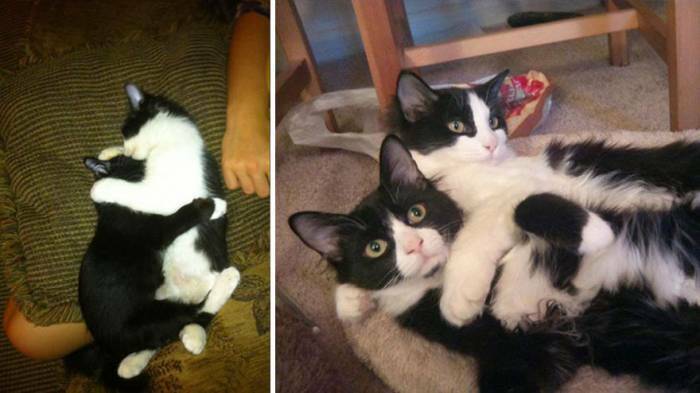 There's something special about scooping a kitten up and into your heart and never letting go, watching them grow and learn and transform alongside you, watching their personality bloom from spunky to smooth, and watching them fall more in love with you every day as you are falling more in love with them every day as well. 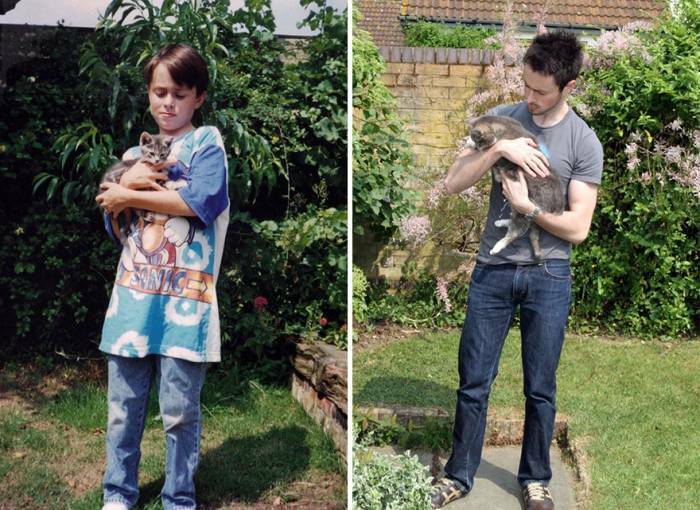 Here are 20 before and after photos of kittens growing up into full grown cats, and I promise you'll spend every second feeling the joy rise in your soul as you look at these babies and how the grew into elegant cats. 2. "My box is best." One learns quickly with cats to indulge them in their desire to keep their favorite box. 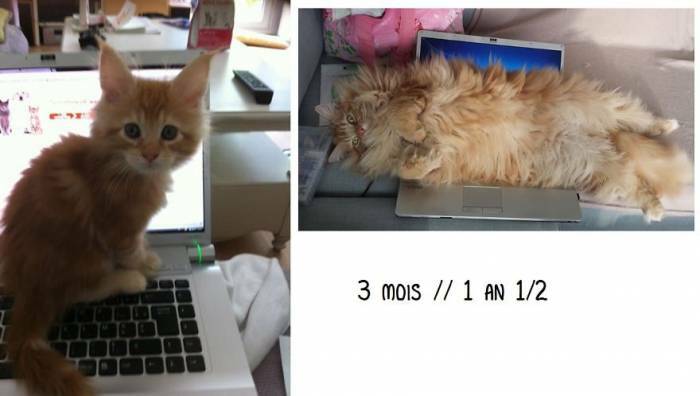 She just made it more comfortable by growing more fluff. Small and sweet to large and in charge. Plus a few dashes of sass. 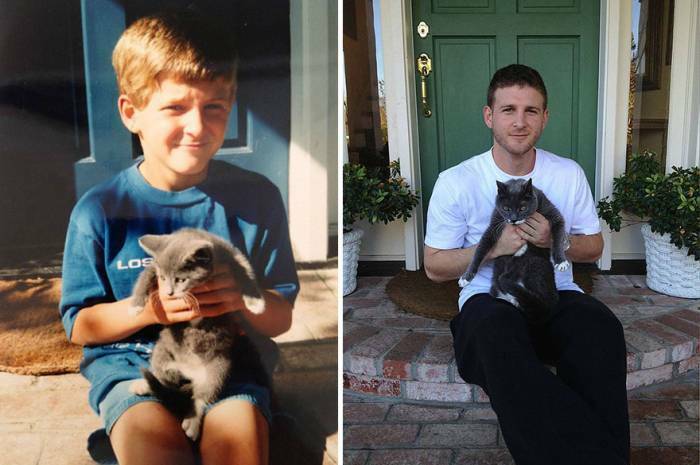 And two cat's bond stronger. Her life and her heart. "If I fits, I sits. 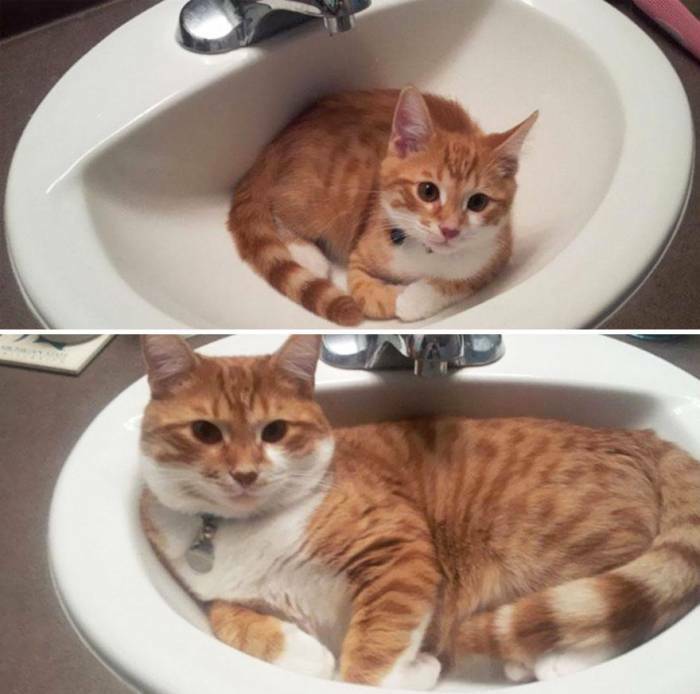 If I don't fits, I still sits." With orange and white fluffy love! Melting hearts for all of time! 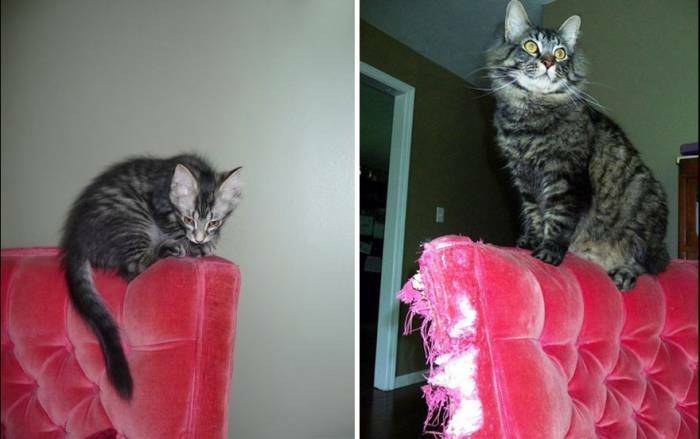 We can clearly tell that chair was favored by that cat. He loves his bed and he'll never stop loving! 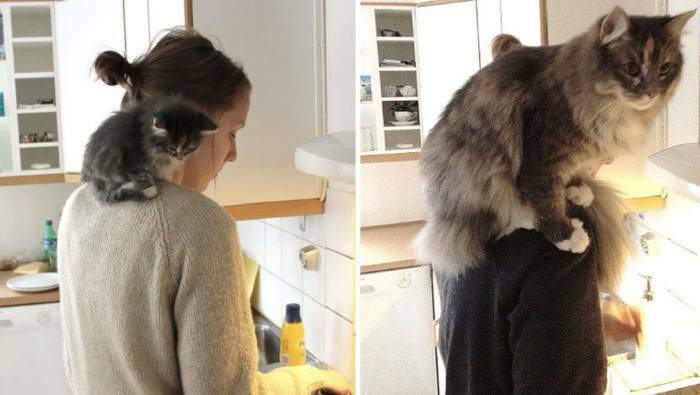 The purrfect spot to sit never stops being the purrfect spot to sit. Who doesn't want to grow up with their fur friend? Nothing comes between a cat and her stuffy. 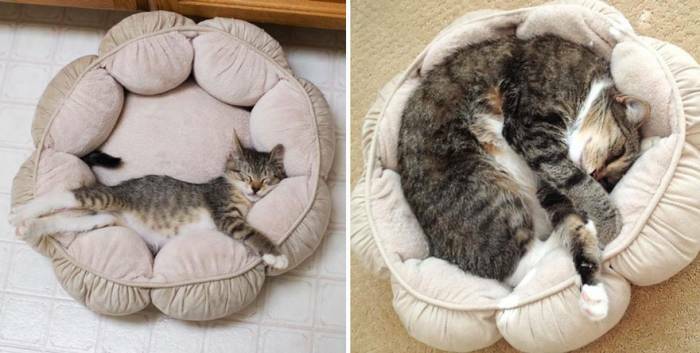 You're never too big for your baby beds, especially if you're cozied up next to your lifelong best friend. 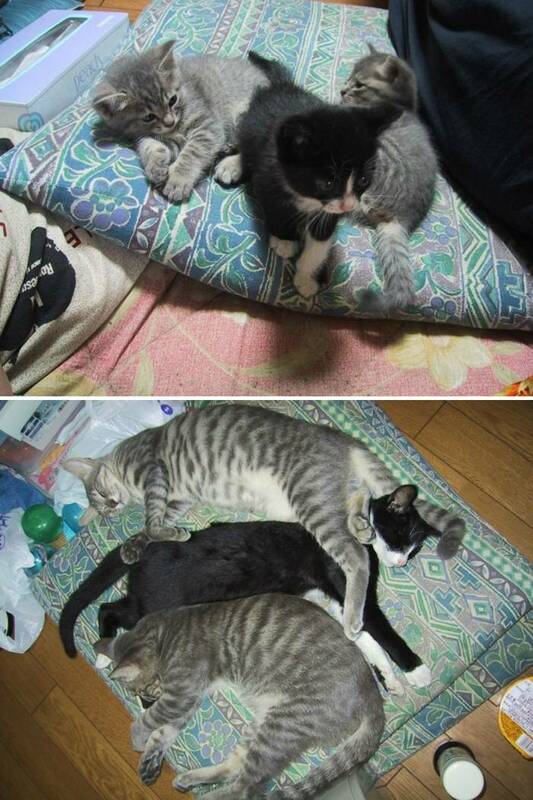 Cat friends that grow together are bound to be furr-ends furr-ever.